The goal of creating the Technology Task Force (TTF) was to tap into the wealth of information that we have in our citizenry – these folks are the best of the best, and that’s what we needed. We have incredibly technology literate people in Cary – you work for IBM, Cisco, NetApp, SAS, LexisNexis, … and so many of you use these tools everyday. 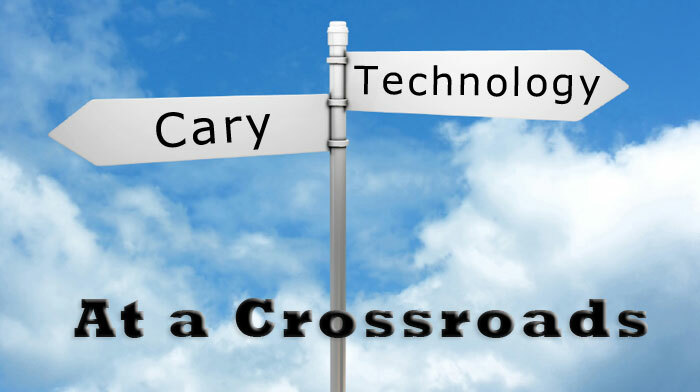 Cary needed a set of recommendations from folks from all areas that use, build, or leverage technology; to share with the Town ways to increase citizen engagement, and to get us on the right path. Why? It comes down to money and priorities. Our Town budget is tight, and council has to make some hard decisions. 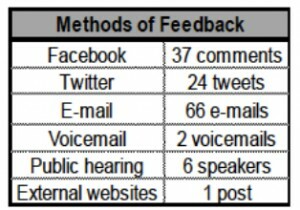 Town staff has detailed that implementing ANY of these recommendations will cost staff time, meaning real operating expenses. And our collective priorities aren’t aligned to provide those funds. I don’t disagree with staff. It will cost money. But I disagree with our priorities. 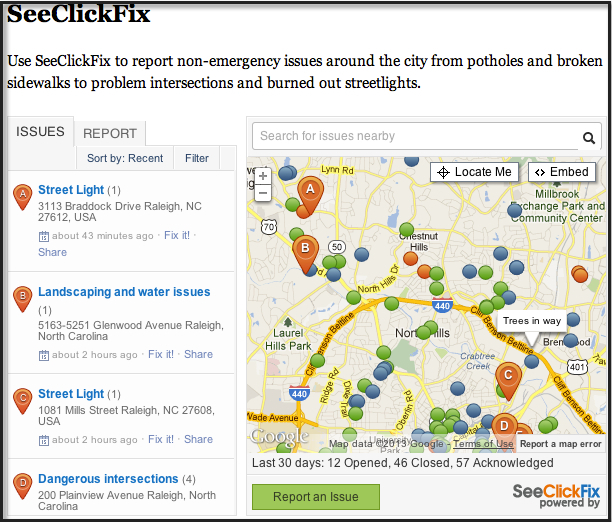 We need an app or service like SeeClickFix, a 3-1-1 tool that allows citizens to post issues (pot holes, streetlight repair, and other nuisances and issues) to an app – getting you to submit and track non-emergency service requests. More importantly, you can vote, and see if other people have submitted it, and track the requests. We could call it “ASK Cary” – just sayin’. Update our website. Make it easier to use, to find content, and to easily find information. How many times have you tried to find out if a Town field is open? A list of fun events coming up this month, for kids? For teens? For seniors? Something that looks professional, clean and easy to navigate. We need a Town of Cary Official App – that would provide users with event information, get Town news, request services or connect with a Town official. Technology isn’t free. I know that. But I ALSO know that an investment in these areas can save us money in the long term – while also connecting us to you, our citizens. Other cities have shown that these investments DO have return in cost savings in reduced phone calls, while providing real-time feedback to citizens. Leveraging technology is not just a nice or cool thing to do — it’s critical if the Town hopes to cut costs while still providing core, vital services. And, most importantly, technology touches all of our citizens. 99% of our residents have internet access. 54.5% have a smartphone, or are planning on getting one. I’ve seen children looking up Skate Park information, our seniors using the web, and new users accessing their water data online. Improvement and expansion of our Town services touches us all, and it’s the right thing to do. Not funding any Technology Initiatives this next year means that we are going to be another year behind. We have a roadmap – given to us by our great TTF members, let’s do something. So, I might be the only one that thinks we can do better, but I hope not. I hope we can get back to Cary being the “Technology Town of NC” – but I’m afraid we won’t get there at this rate. Personally, I think these initiatives are at least worth the kind of $110,000 Public Art funding for Fire Station #2 that is in the current budget. At Town Hall on Thursday, May 23, 2013 and June 13, 2013, 6:30 p.m.
You can read more about Cary’s FY14 Budget at our website. Most importantly though, thanks for being an important part of Cary. I agree with you. It is especially disappointing given the money spent on the fire sculpture. I am all for public art projects as I think that they improve quality of life, but I would rather we spend money on things that will improve our lives in more measurable ways. The website definitely needs an overhaul. It was adequate when we moved to Cary in 2003, but it has not changed much since then. There is no reason for it to be as static as it is. I love the idea of something along the lines of SeeClickFix. Isn’t that code already written and able to be purchased as a package? I love that our Council is responsible about the budget. I hope that some room can be made for technology. Valuable information that is not being leveraged by our Town, IMHO. Thanks for writing, and please feel free to share your thoughts with the rest of Council.